Thomas Bayes' father, Joshua Bayes, was one of the first six Nonconformist ministers to be ordained in England. He was ordained in 1694 and moved to Box Lane Chapel, Bovington, about 25 miles from London. Thomas's mother was Anne Carpenter. The family moved to Southwark, London, when Thomas was young and there Joshua became an assistant at St Thomas's and also an assistant at the Chapel in Leather Lane, Holborn. Thomas was the eldest of his parents seven children, four boys and three girls. In  Hacking claims that Thomas was educated privately, something he says appears necessary for the son of a Nonconformist minister at that time. If this is the case, then nothing is known of his tutors but Barnard in  points out the intriguing possibility that he could have been tutored by de Moivre who was certainly giving private tuition in London at the time. However other historians (see for example ) suggest that Thomas received a liberal education for the ministry. In that case it is likely that he attended Fund Academy in Tenter Alley which was the only school with the right religious connections near where Bayes lived. he certainly suggests that his interest went back to his student days or perhaps shortly afterwards. John Archer died in 1733 but was succeeded by Thomas Bayes in 1730, who was a man of considerable attainment. It appears that Thomas Bayes left Tunbridge Wells in 1728 and returned in 1731. During this time he was at Leather Lane Presbyterian Church, London, where his father was pastor. ... a dissenting Minister at Tunbridge Wells, and a Successor, though not immediate, to Mr Humphrey Ditton, and like him a very good mathematician. Bayes apparently tried to retire from the ministry in 1749 but remained minister at Tunbridge Wells until 1752 when he did retire, but continued to live in Tunbridge Wells. I now send you an essay which I have found among the papers of our deceased friend Mr Bayes, and which, in my opinion, has great merit... In an introduction which he has writ to this Essay, he says, that his design at first in thinking on the subject of it was, to find out a method by which we might judge concerning the probability that an event has to happen, in given circumstances, upon supposition that we know nothing concerning it but that, under the same circumstances, it has happened a certain number of times, and failed a certain other number of times. What may the reader expect to find in this Essay? As regards probability, he will expect, of course, some or other version of what has become known as 'Bayes's theorem': and such expectation will indeed be met. In addition he will find a clear discussion of the binomial distribution and if he should probe even deeper he will find ... the first occurrence of a probability logic result involving conditional probability. The Essay should be of interest to mathematicians for the evaluation of the incomplete beta-function. We note too the use of approximations to various integrals made here and in the Supplement by both Bayes and Price, and the attention paid to the question of the error incurred in the making of such approximation. The Essay, then, mainly, and perhaps justly, remembered for the solution of the problem posed by Bayes, should also be remembered for its contribution to pure mathematics. Bayes's conclusions were accepted by Laplace in a 1781 memoir, rediscovered by Condorcet (as Laplace mentions), and remained unchallenged until Boole questioned them in the Laws of Thought . 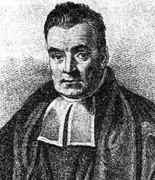 Since then Bayes' techniques have been subject to controversy. I have long ago thought that the first principles and rules of the method of Fluxions stood in need of more full and distinct explanation and proof, than what they had received either from their first incomparable author, or any of his followers; and therefore was not at all displeased to find the method itself opposed with so much warmth by the ingenious author of the Analyst; and had it been his only design to bring this point to a fair issue, whether a demonstration by the method of Fluxions be truly scientific or not, I should have heartily applauded his conduct, and have thought he deserved the thanks even of the Mathematicians themselves. But the invidious light in which he has put this debate, by representing it as of consequence to the interests of religion, is, I think, truly unjustifiable, as well as highly imprudent. ...represents the disputes and controversies among mathematicians as disparaging the evidence of their methods: and ... he represents Logics and Metaphysics as proper to open their eyes, and extricate them from their difficulties. ... If the disputes of the professors of any science disparage the science itself, Logics and Metaphysics are much more disparaged than Mathematics, why, therefore, if I am half blind, must I take for my guide one that can't see at all? Bayes was elected a Fellow of the Royal Society in 1742 despite the fact that at that time he had no published works on mathematics, indeed none were published in his lifetime under his own name, the article on fluxions referred to above was published anonymously. Another mathematical publication on asymptotic series appeared after his death where he showed that the series for log z! given by Stirling and de Moivre, was not valid since it diverged. You may remember a few days ago we were speaking of Mr Simpson's attempt to show the great advantage of taking the mean between several astronomical observations rather than trusting to a single observation carefully made, in order to diminish the errors arising from the imperfection of instrument and the organs of sense. In  a notebook which was almost certainly written by Bayes is examined in detail. This notebook contains a considerable amount of mathematical work, including discussions of probability, trigonometry, geometry, solution of equations, series, and differential calculus. There are also sections on natural philosophy in which Bayes looks at topics which include electricity, optics and celestial mechanics.